Just like that, another year’s cycle has ended and we’re starting a new chapter. What lessons did the past year leave us? Now is a good time to reflect on what we’ve been through, learn from each experience, and create some new practices from them that will bring personal growth and positive changes. It’s time to write a new story. After asking ourselves what has come to light in the past year and observing the shadows cast by each illumination, patterns emerge that can help us set goalposts for the next chapter. Whether we call it a New Year’s Resolution, a goal, a road map or a manifesto, this reflecting on the past to help chart a course for the future is a great practice to start the year off with, especially in light of the Rising Dawn. 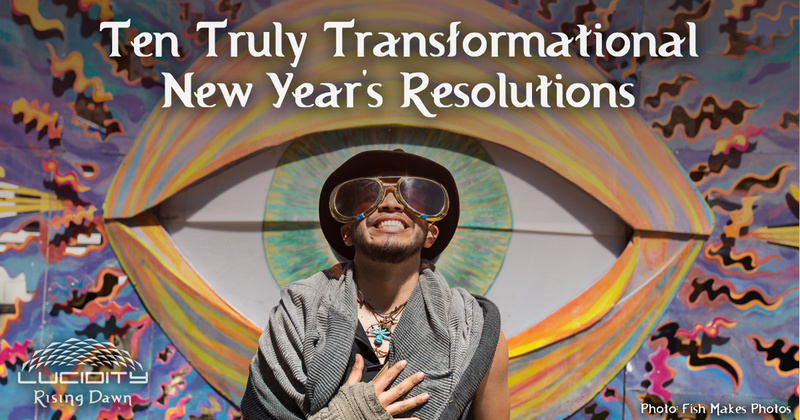 Here are ten ideas for resolutions that are truly transformational for the coming year. 2018, bring it on! Whether it’s developing an exercise routine, getting into meditation, or making more meals at home, setting aside some time regularly for habits that help nourish the body, mind and spirit is a great way to start off a new year. Developing a new healthy habit is a gift that keeps giving. Healthy habits impact all the other aspects of your life. Especially for those with a desk job, getting up and out and moving the body is essential for maintaining optimal health. Not to mention it helps build endurance for those dance floors come festival season! But adding daily movement into your routine doesn’t have to mean hours at the gym. In fact, research suggests that it’s more beneficial to take short activity breaks throughout the day and incorporate movement into daily activities. “Rather than thinking the only answer to getting healthy is the ‘all or nothing’ approach, i.e. starting (then quitting) an intense diet & exercise program, try taking one baby step at a time.” Regular exercise helps prevent colds and flu, beats the winter blues, and often leads to making new friends in unexpected places! Deepening relationships at an interpersonal level has embedded benefits for the collective as well. Our friend Diana Leafe Christianson, speaks about community glue being one of the three aspects of a thriving community. This is a sense of comradery, good-will, and harmony. It’s said that you are a combination of the five people you spend the most time with. So to invite a more positive spin into your life, connect with new people who make you smile. 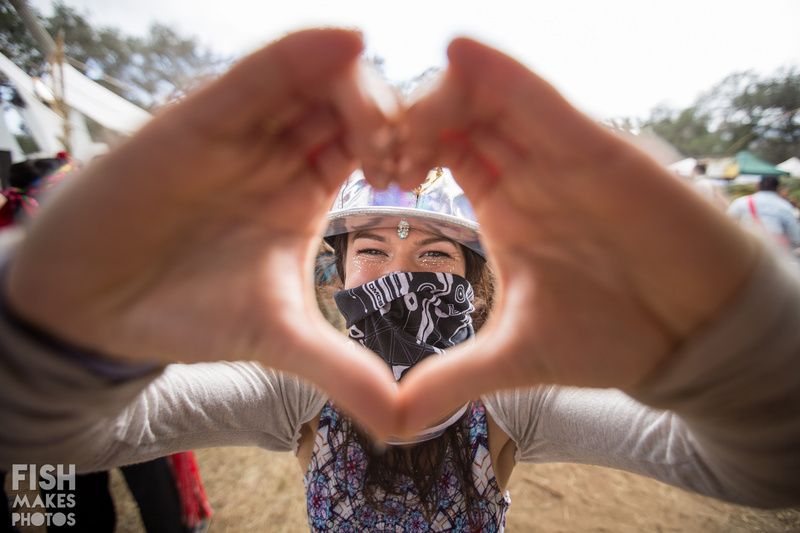 There’s no better place to meet new friends than a festival! Taking good care of yourself not only benefits you, it allows you to be ready and able to give to those around you. Starting your new year off with a new self-care routine will ripple outwards and create a positive impact on your life. Whether it’s exploring yoga, essential oils, positive affirmations or simply practicing a little more self-control, a little time invested in self-care will pay off big time. Whether it’s the pottery class you’ve been waiting to justify, or the online course you’ve been putting off, now is the time! We are are firm believers in lifelong learning. Looking for ways to dive into a new skill or subject of interest? 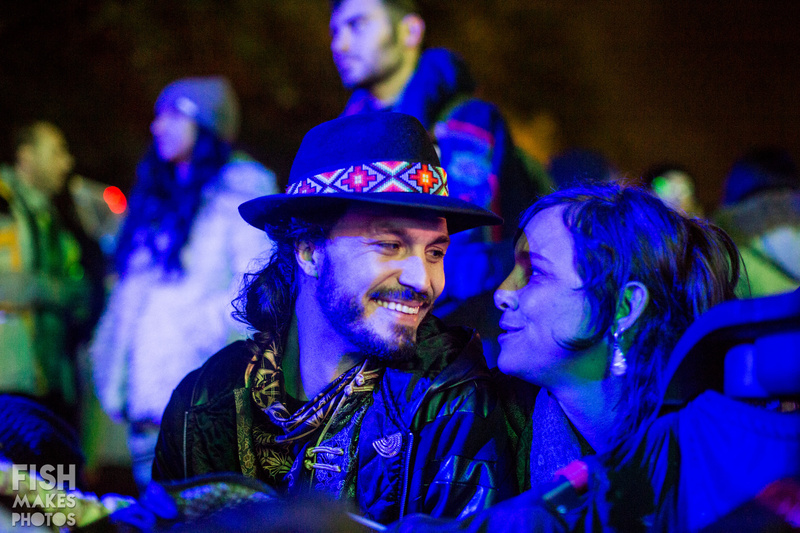 Check out Lucid University CourseWeek to gain a thorough overview of permaculture design, learn how to navigate healthy relationships & ways of being, or discover the process of creating large-scale art installations. One of the biggest struggles of adulting is time management. There’s simply not enough time in a day to do it all, so if you’re constantly finding yourself procrastinating or being late, setting a goal to manage your time more efficiently would make a great resolution. And time isn’t the only thing too precious to be wasting — another great resolution would be to waste less by using less in general. Watching power and water consumption, phasing out single use items from your life, and planning your trips carefully to avoid wasting fuel are all beneficial ways to simplify life and wherever you go, to Leave it Better. With technology at our fingertips, it can be easy to walk the streets with our faces in our phones. What if we made eye contact with every person we crossed paths with? Would we feel happier, more aware, more connected? Maybe we should consider this a step to overcoming our fears? A recent study with children at UC Riverside suggests that making eye contact “can give them experience in confronting their fears.” This implies that eye contact is an important driver in social learning, and a way to build knowledge. While it can be easy to stress about life’s struggles especially when times get tough, returning your focus to the positive is the best way to turn that frown upside down. Making a habit out of thinking about all that you’re grateful for can help shift your thinking in a more positive direction, and studies show it can make you happier in the long run. Try starting a gratitude journal and writing down at least one thing you are grateful for each day. Expressing gratitude is a great tool that can help bring lasting happiness. We hope these ideas help make your 2018 a year of happiness, growth, and good health! What resolutions and intentions are you setting for the year ahead? 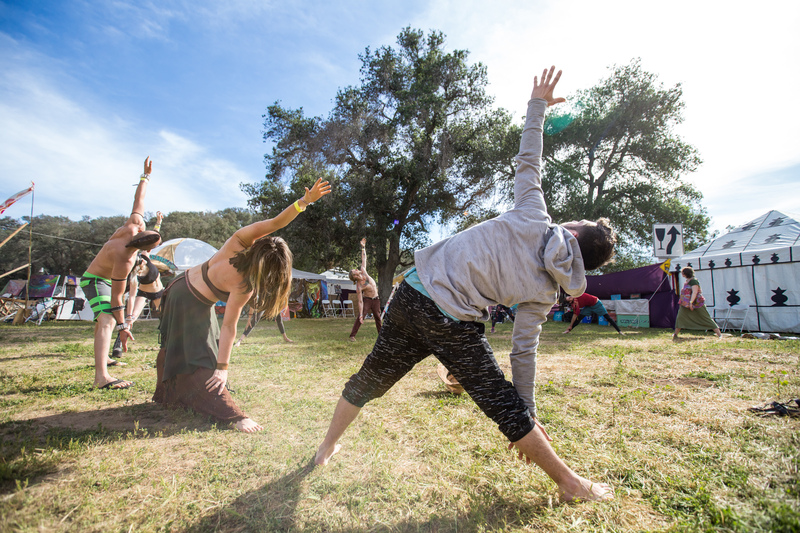 ← Need Support at Lucidity? Guardians are Here to Help!